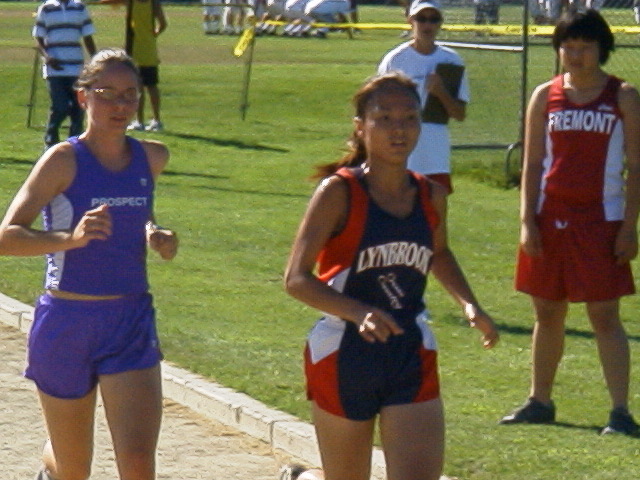 lead upon exiting the track at 600 yards. 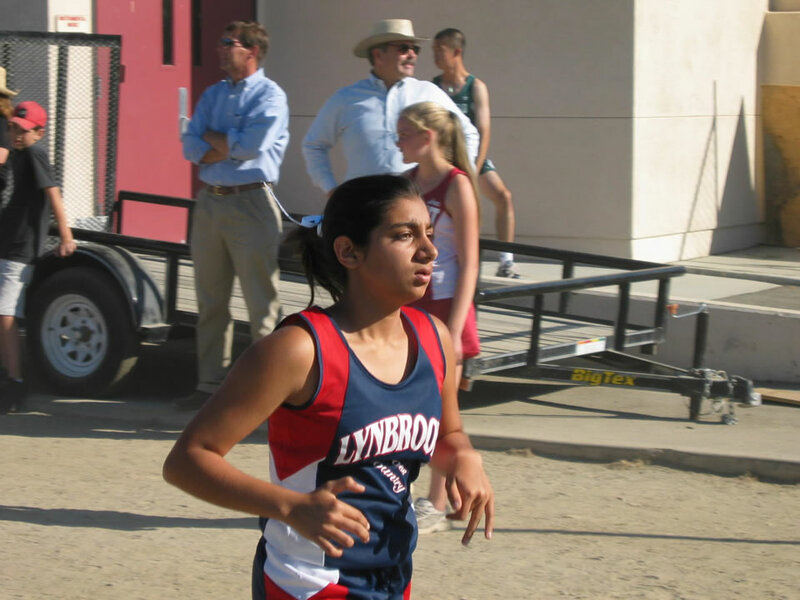 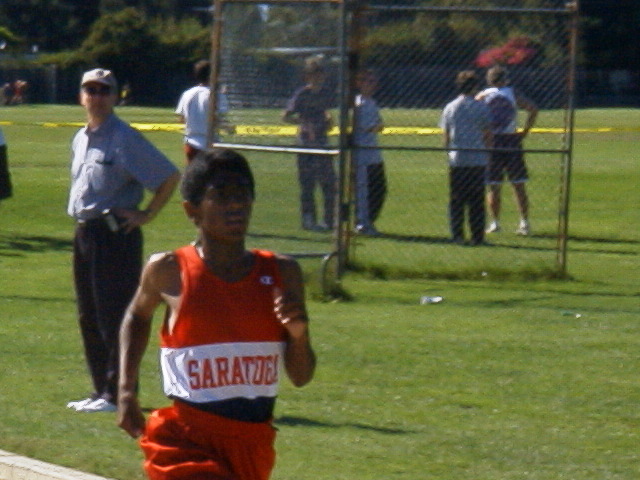 After the first of two loops on "the green"
yards of the day, it was still Hari who was looking smooth and primed for the win. 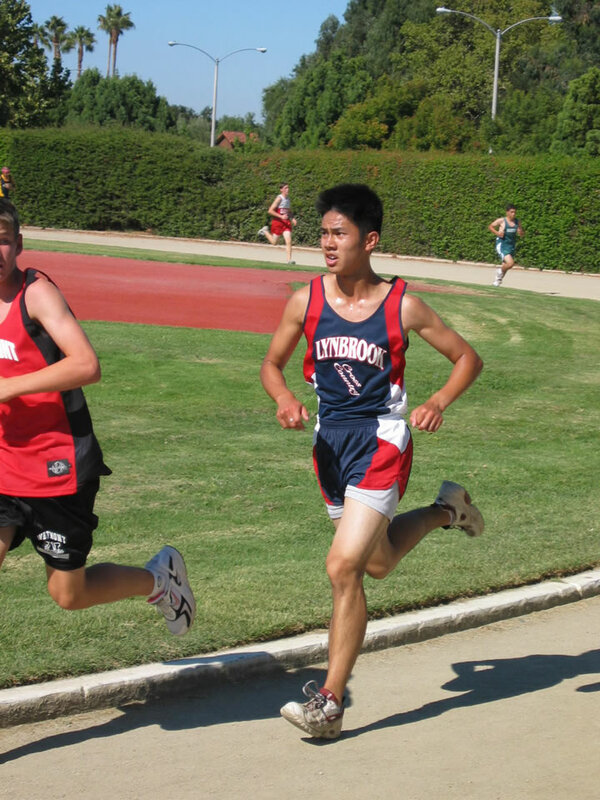 away with the team win over Saratoga with a 58-99 score. 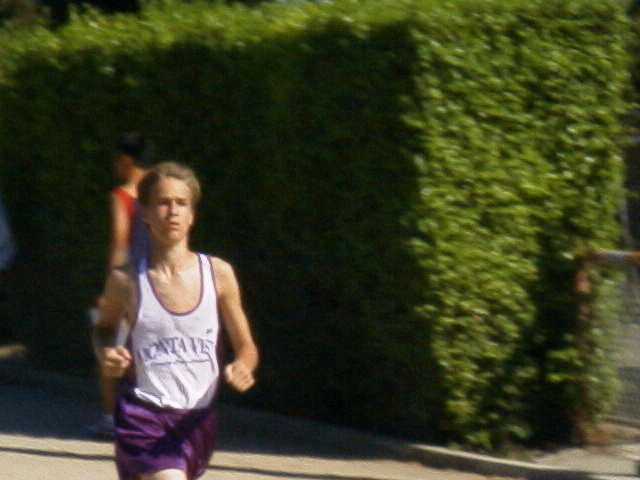 yards to go. 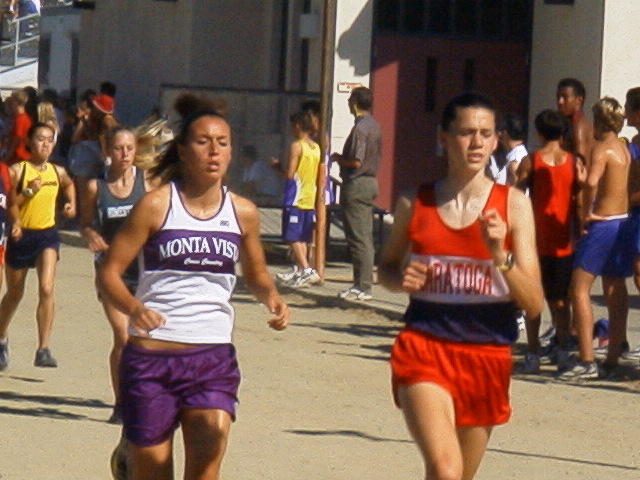 Follmar finally unleashed her patent kick for her third win in a row. 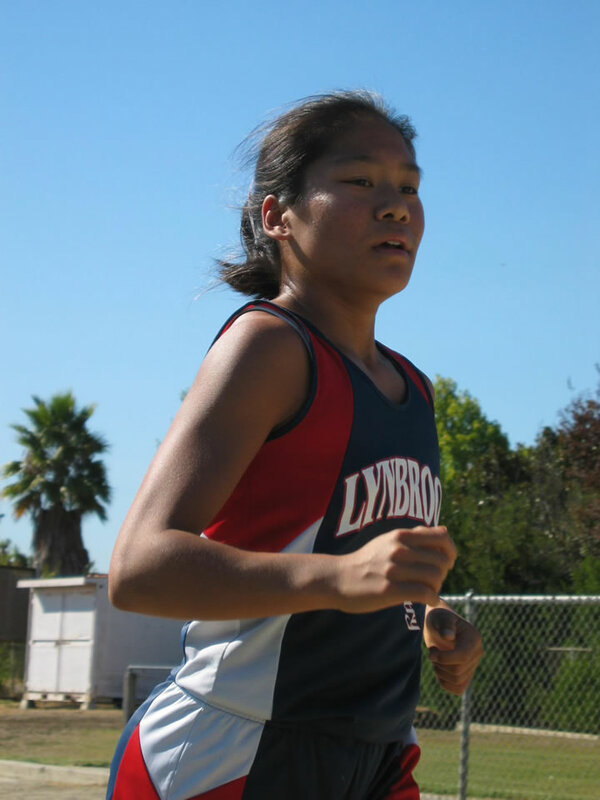 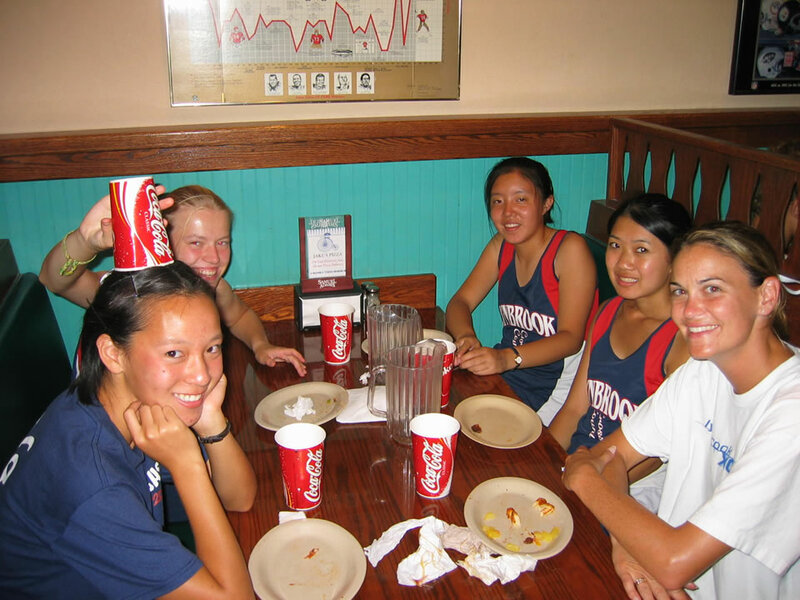 Nguyen & Kim finished 2-3 while Frosh phenom MayC Huang (Lynbrook) finished 4th. 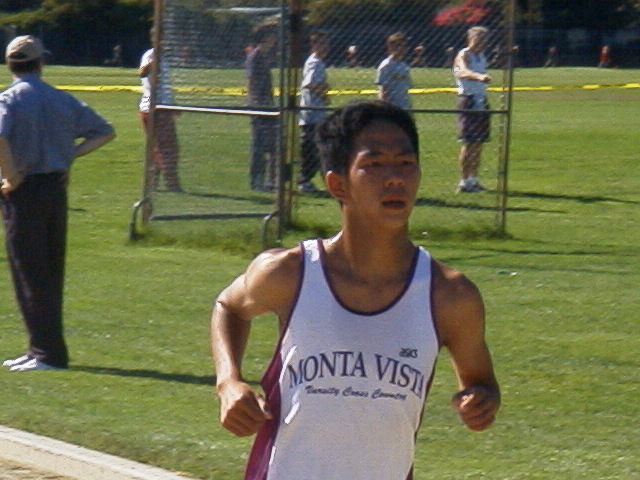 Monta Vista with the Wildcats winning 67-73-83. 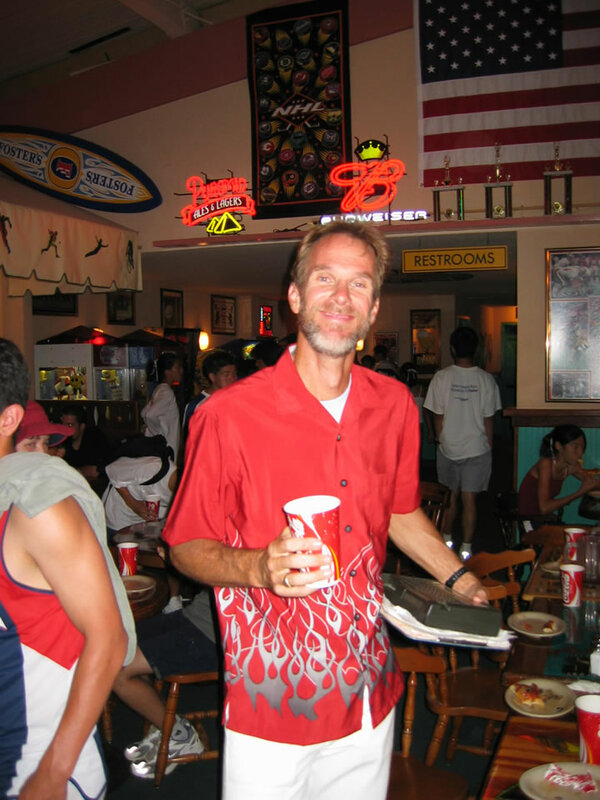 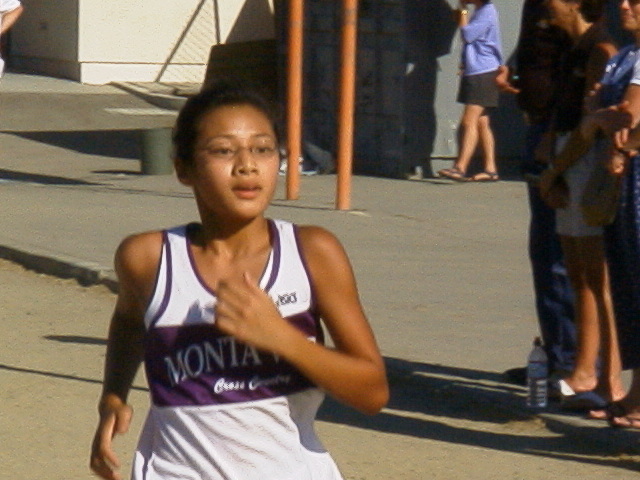 Monta Vista showed that they have alot of new talent from their 100+ team this year. 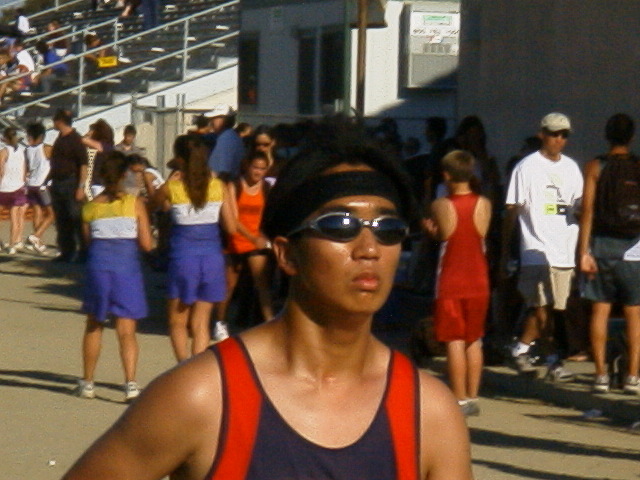 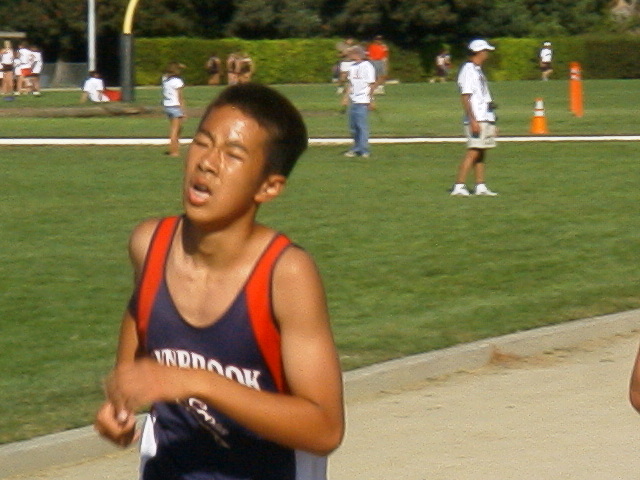 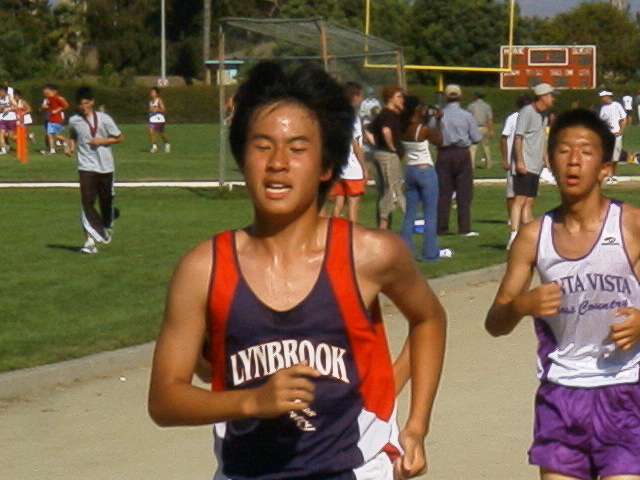 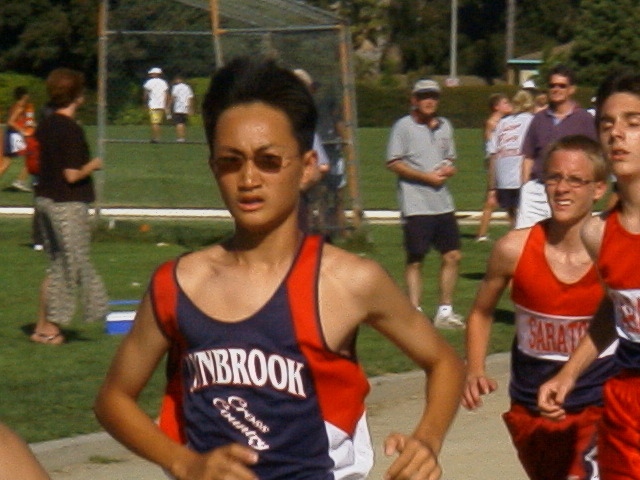 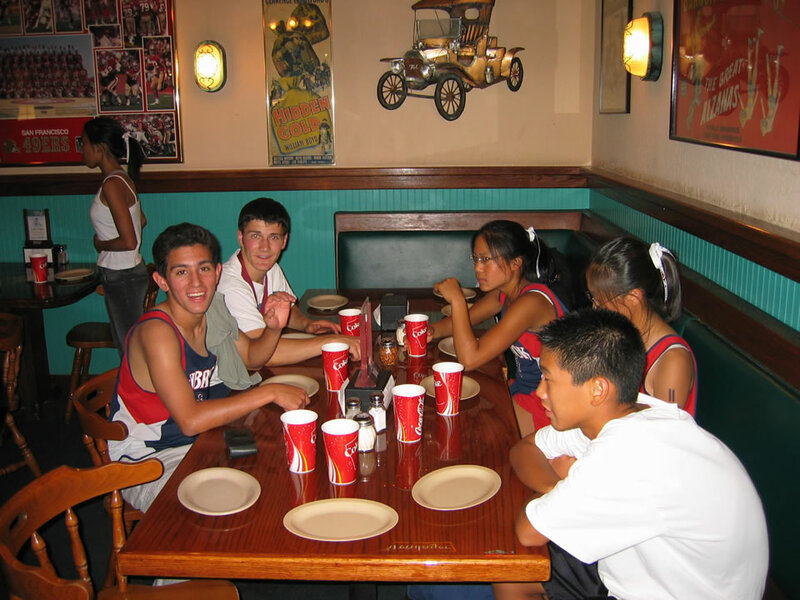 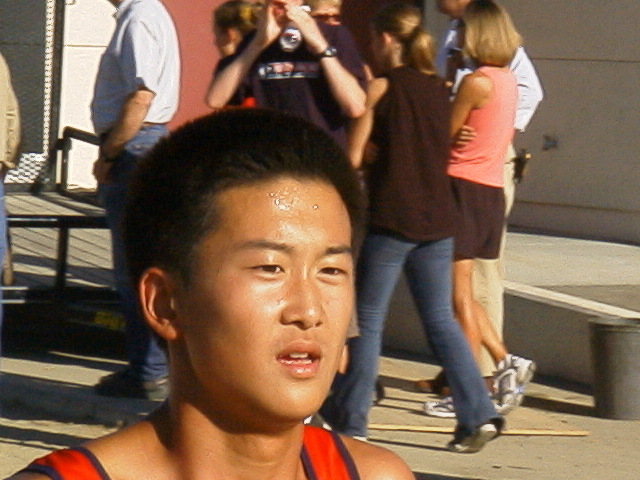 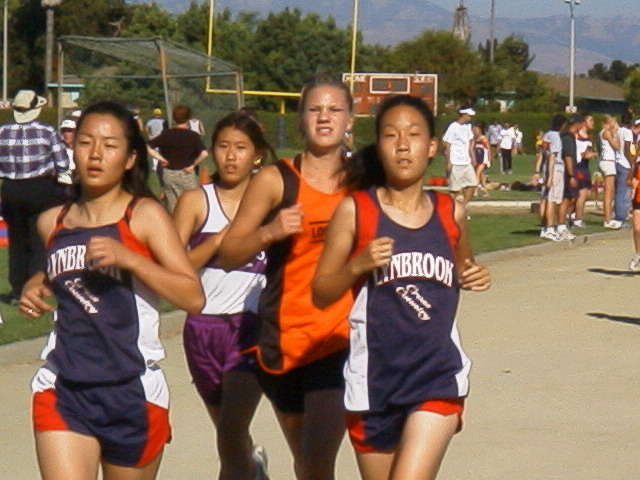 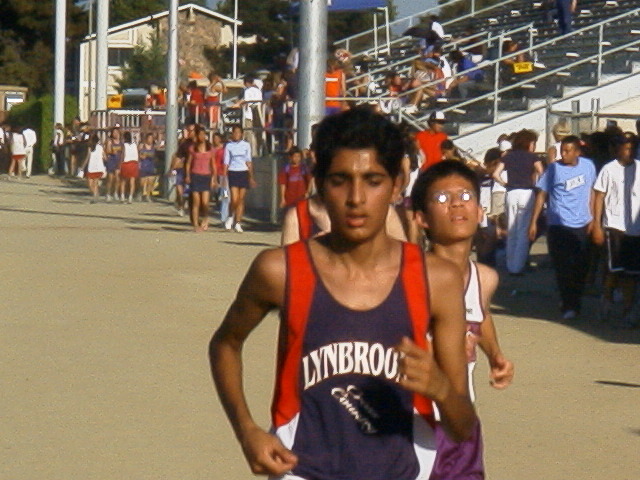 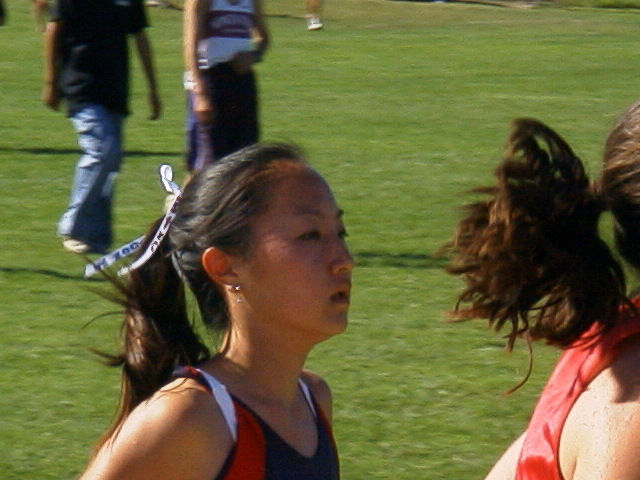 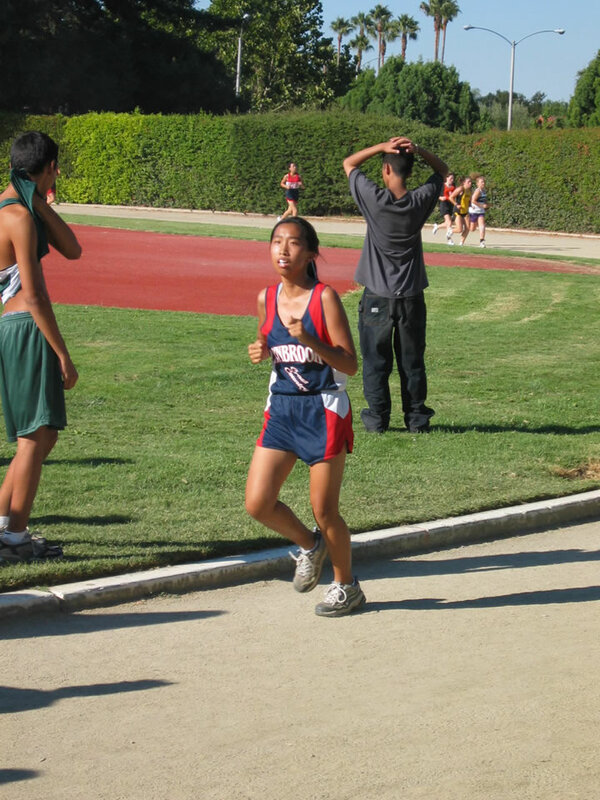 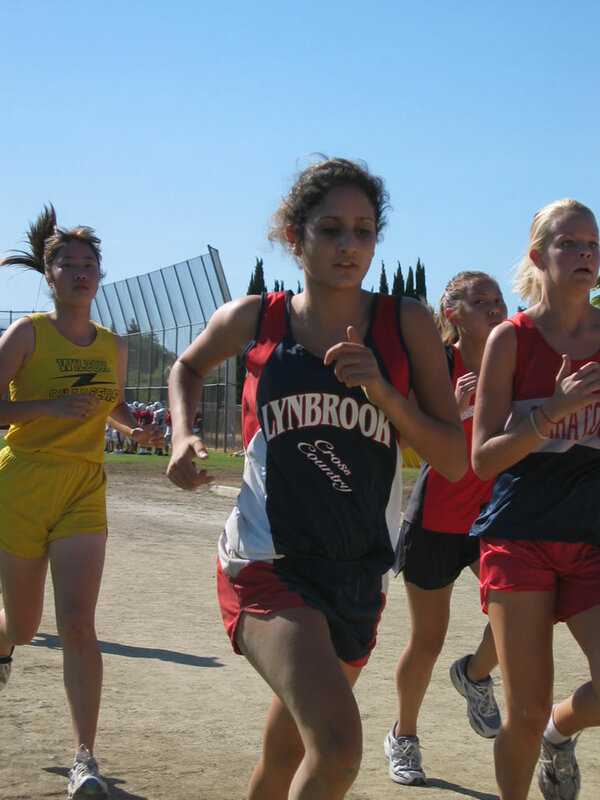 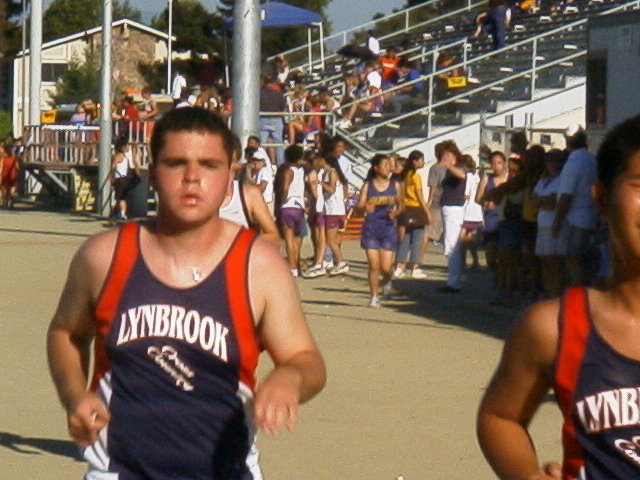 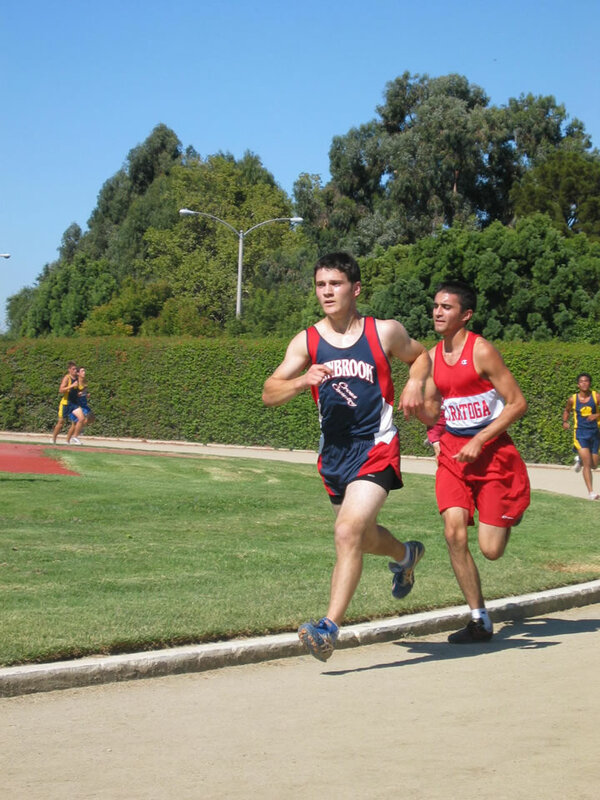 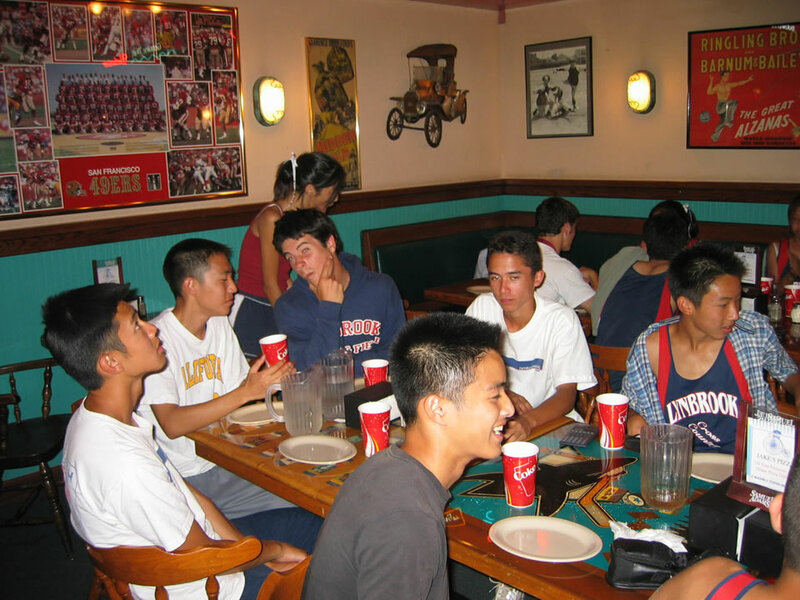 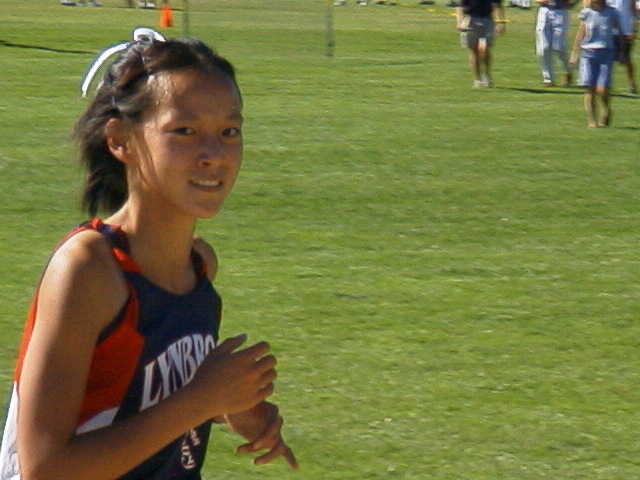 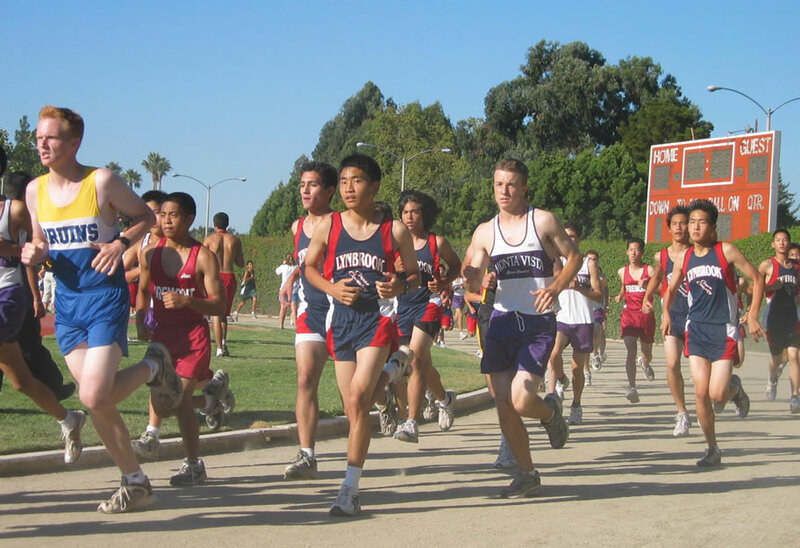 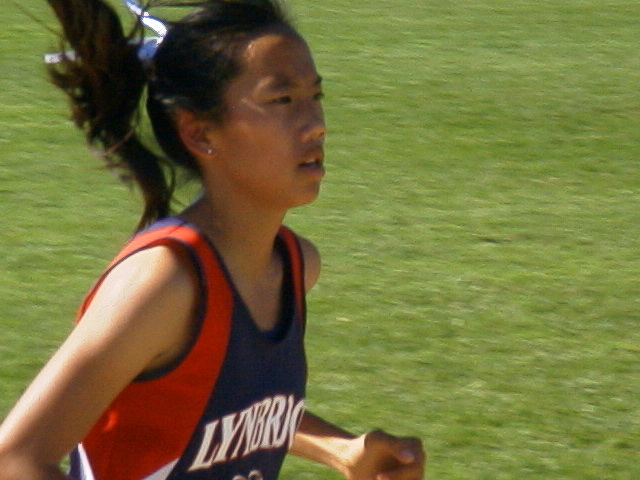 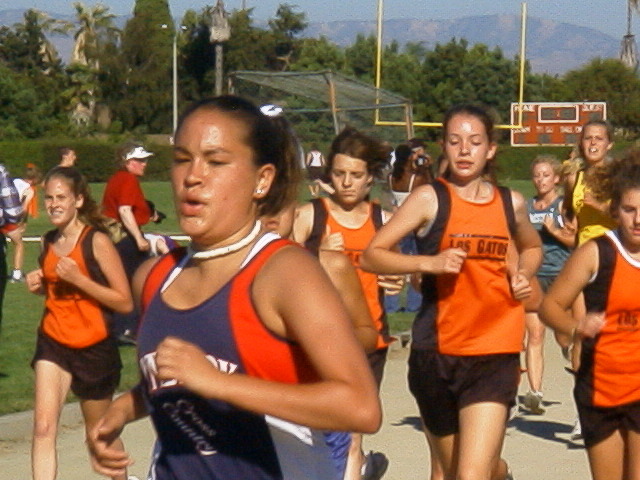 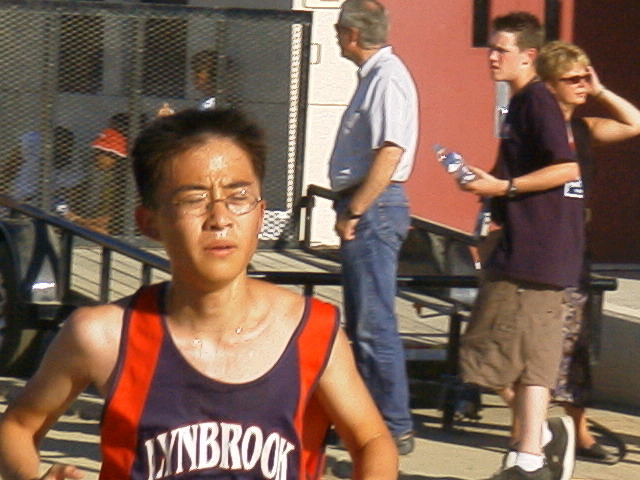 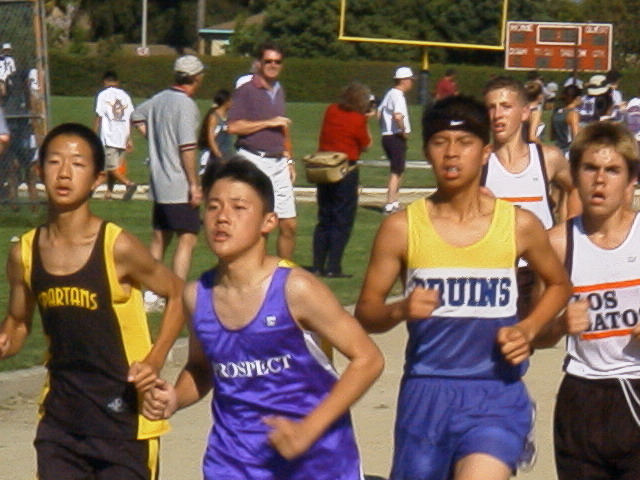 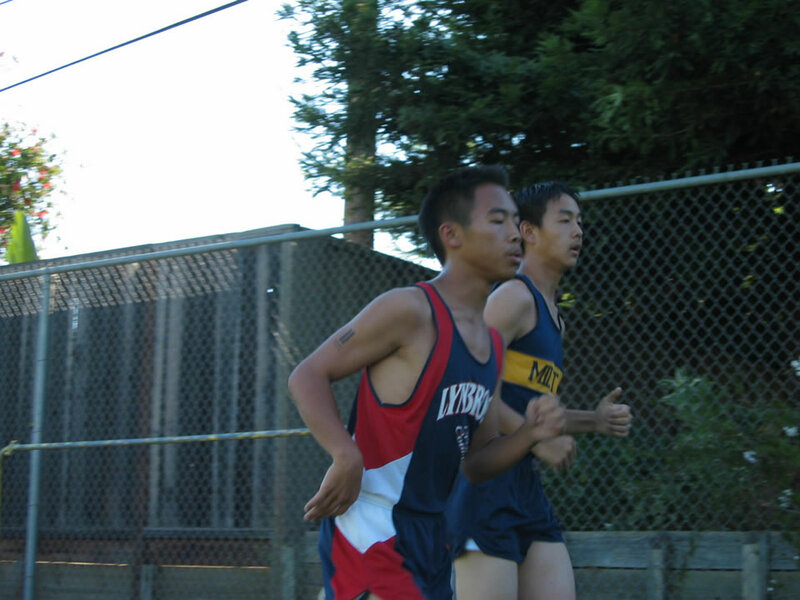 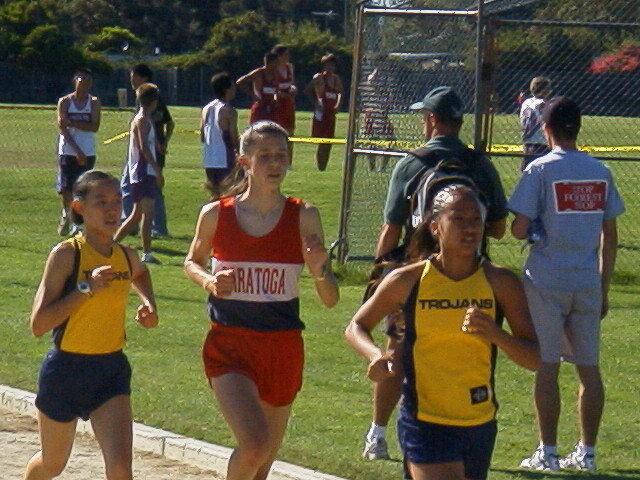 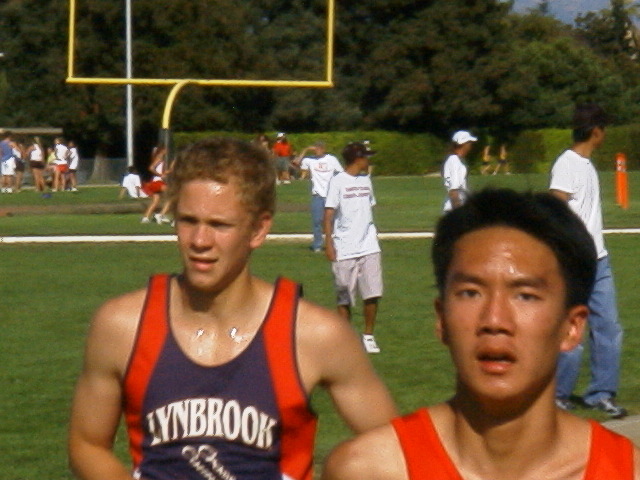 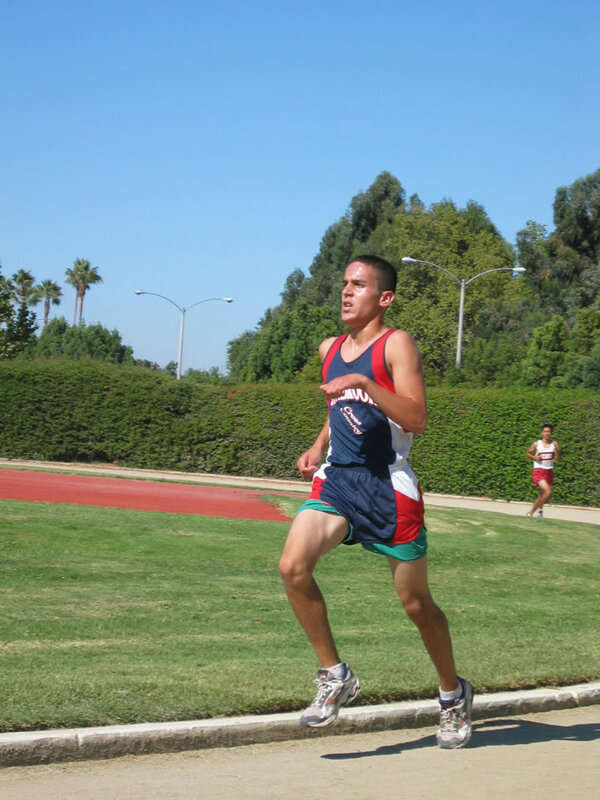 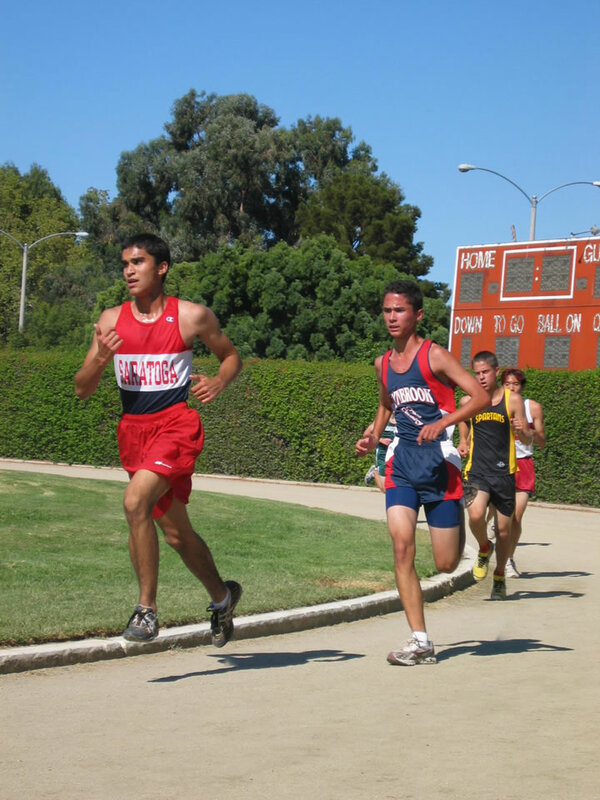 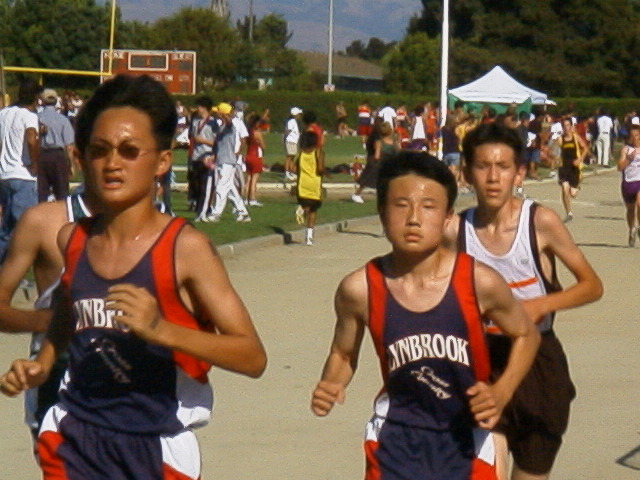 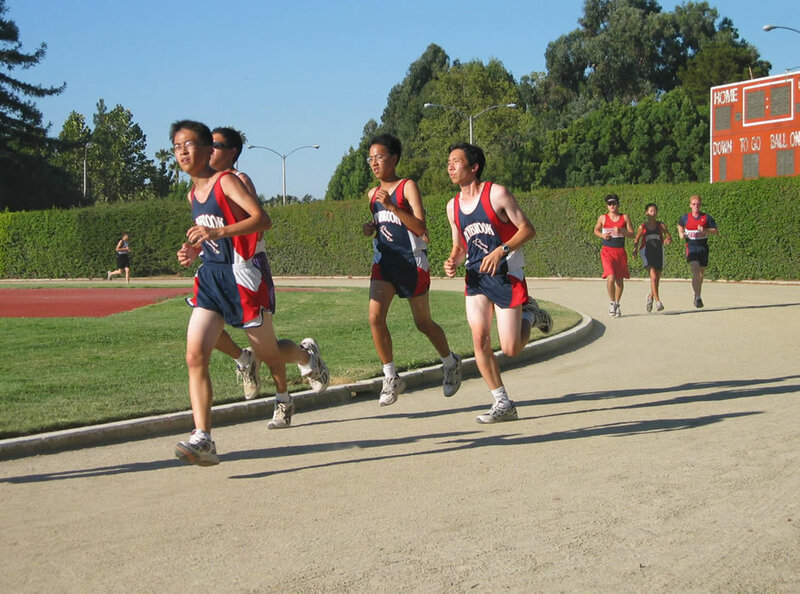 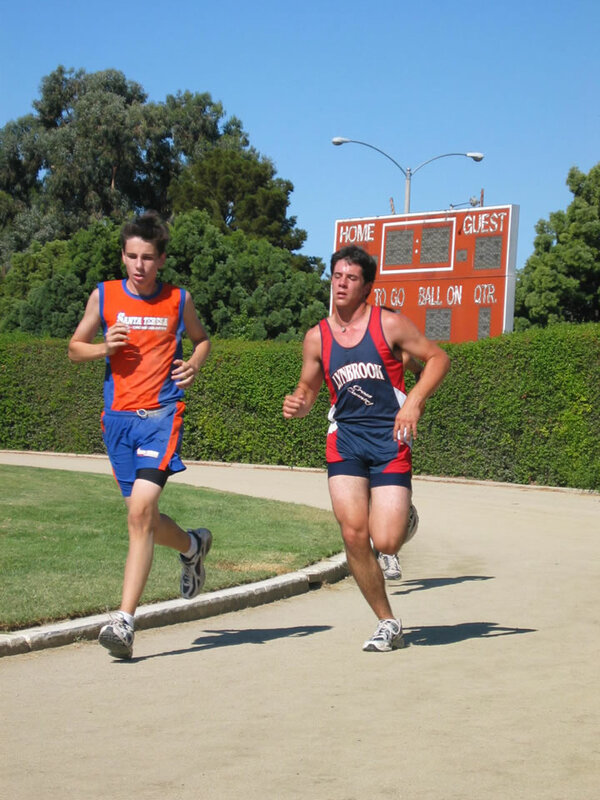 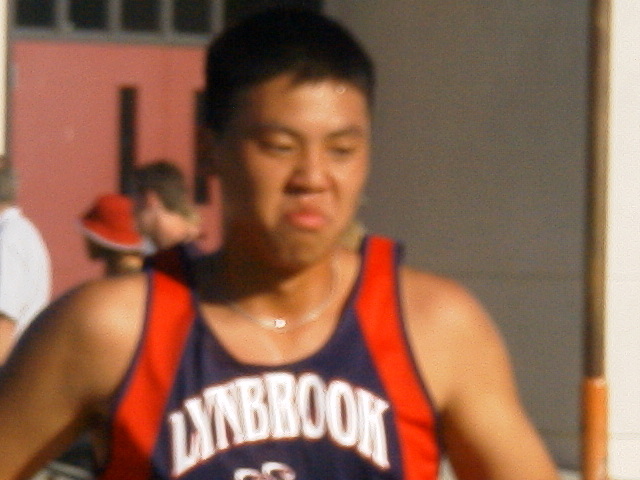 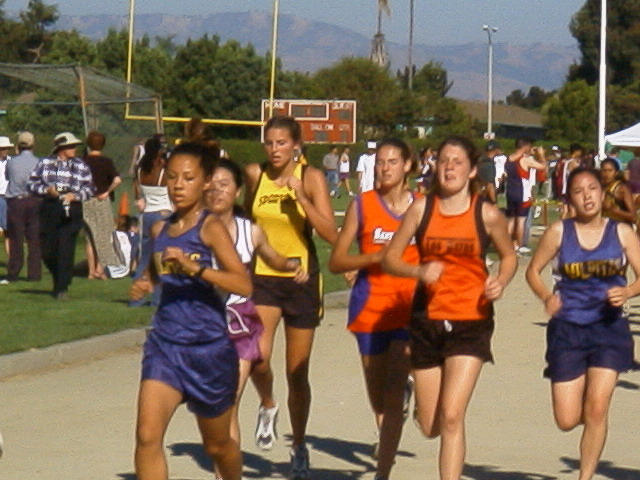 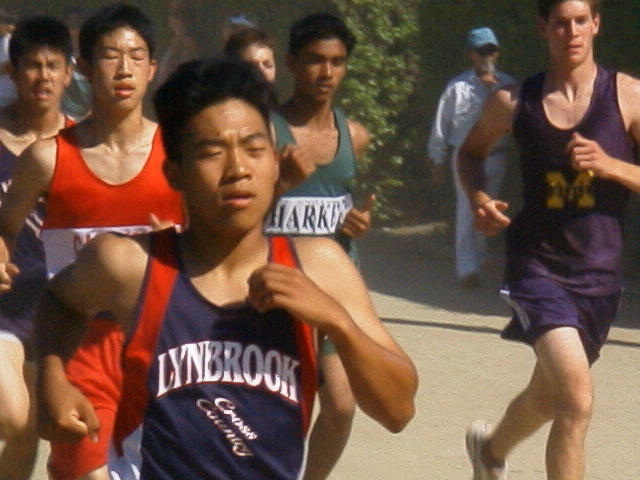 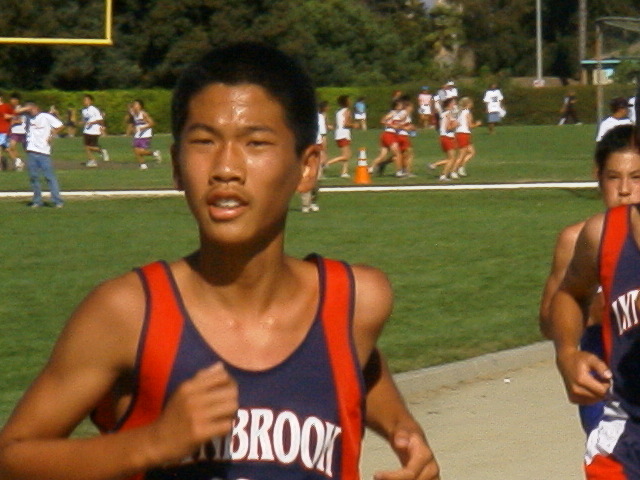 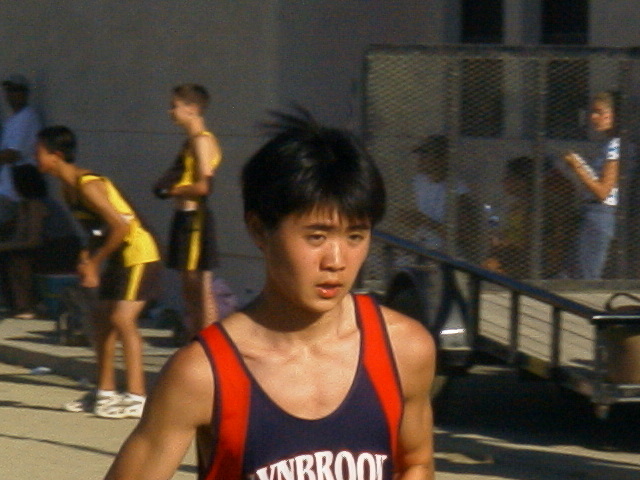 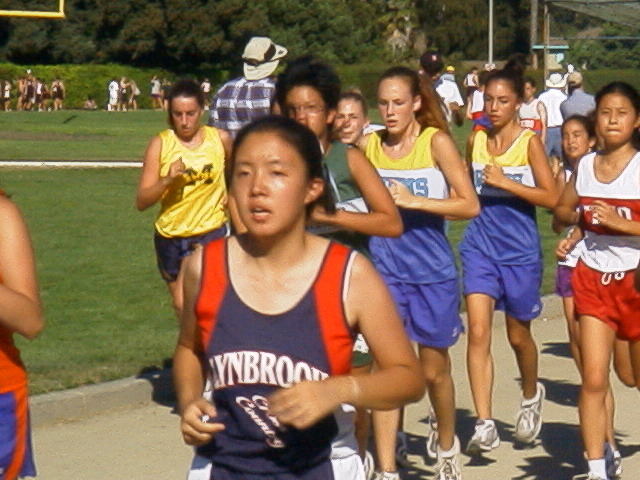 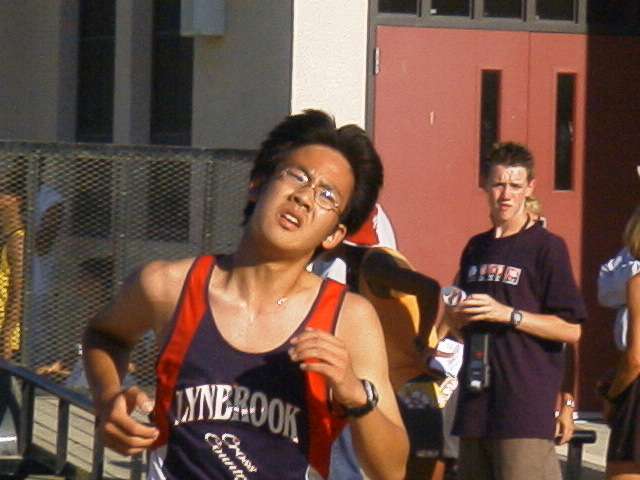 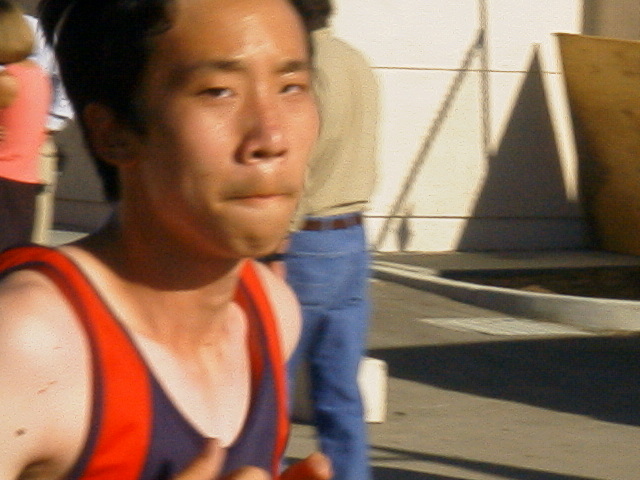 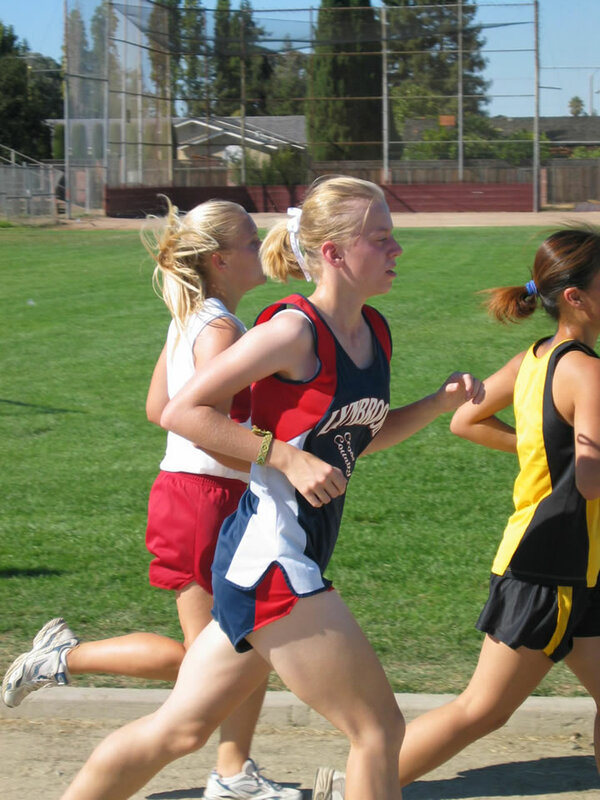 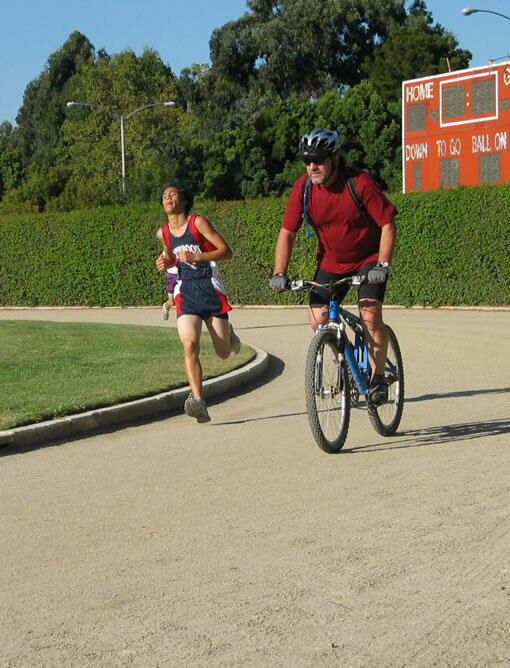 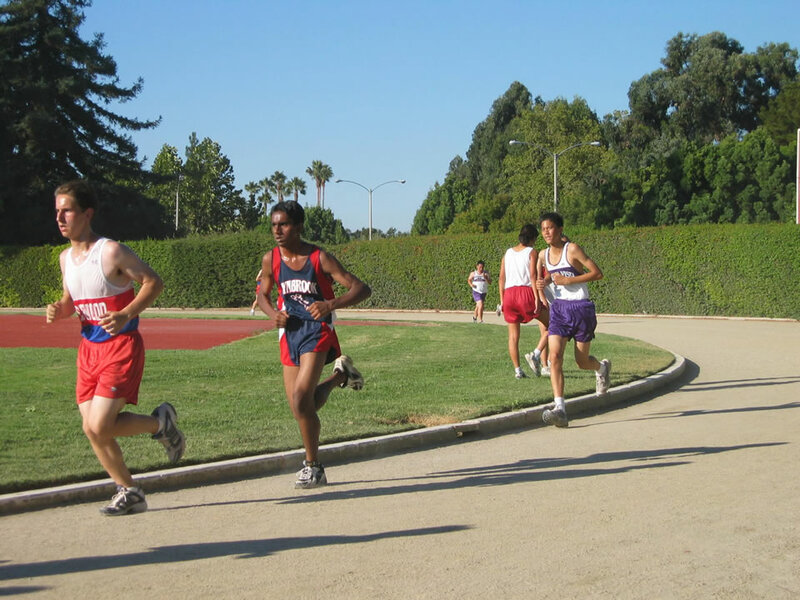 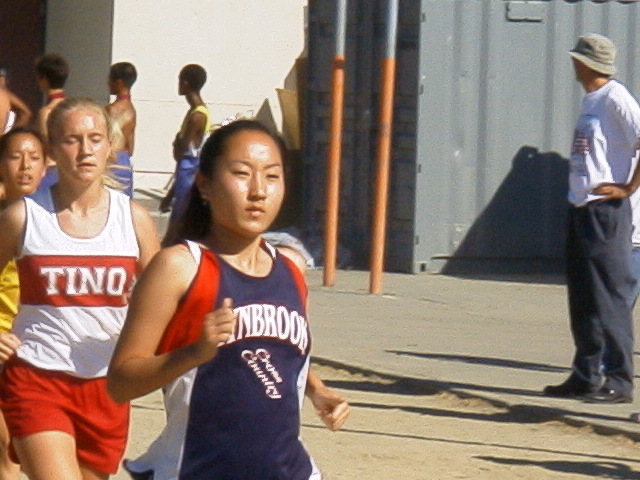 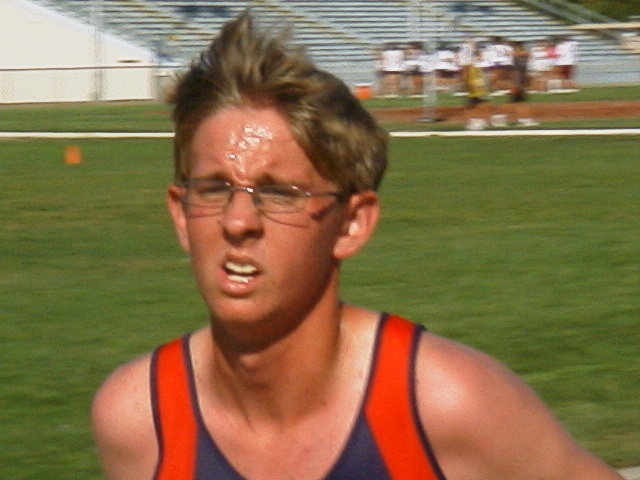 was pulling away from Cameron Ketcham (MV) and teammate Eric Sasaki (Lynbrook). 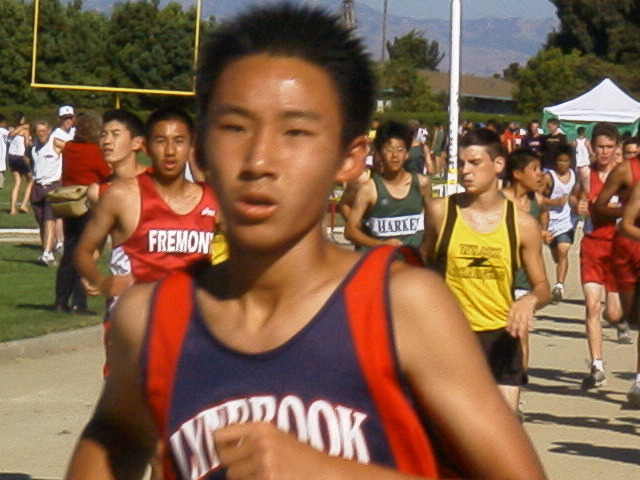 and Walter Chang (17th) for a team score of 34 points and a team win to boot.